When you search for some racing games in the Google Play Store, you will find at least a thousand of it. So, it must be a challenge for you to find out the good ones. Most of those games are nothing but some poor copies of other games. This is why they are not worthy for your precious time. 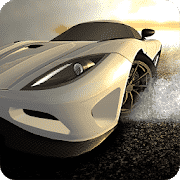 In such a situation, an honest, transparent, and descriptive list of the best racing games for Android can be a good help. 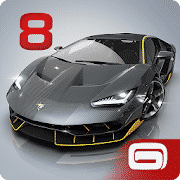 So, I have decided to help you with this precise list of 10 best racing games for Android. People, by nature, love to participate in a race and so to win. 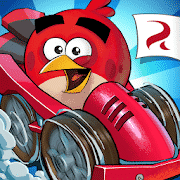 So, the free racing games have become very popular within a short term period among Android users. But your participation in a race using your Android must require an Android racing game with awesome graphics, good quality visual and sound effects, optimization for quality and speed, and ability to make you addicted. 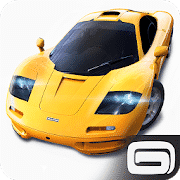 Remembering all of them in my mind, I have compiled them and made the list of best racing games for Android. Real Racing 3 is worth to be the first one of this list. It is really a mood changing game that raises your excitement to its highest level. This amazing game is easy to play and featured an awesome resolution and sound effect. Also, a good number of other features are included. Let’s have a look over them. • Inclusive of tons of real vehicles like cars, trucks etc. for the play. • There are lots of real roads, animated to form this game. • Provide satisfying graphics and sound effects. • You can challenge your friends in racing here. • Offers some in-app purchases which are totally optional and you can try them to be a premium member. • Very fast and the strategies are okay. The second one, I have chosen for the list is Crazy for Speed 2. It is another exciting game. The players who enjoy it often call it one of the best racing games for Android. It is easy to understand but hard to be master. The strategies and features are also worth to be praised. So, let’s have a look at them. • Provides lots of real vehicles to use for the race. • There are lots of real and dangerous roads to select for the race venue. • They provide a driving license test. • Awesome 3D resolution and sound effect. • Let you customize your car to take part in the race with it. • Provides lots of incredible levels with different strategies. No racing game list is complete without one of the best racing games for Android, Asphalt Nitro. It is a very popular game with impressive resolution and challenging experience. In this game, you can control lots of licensed cars like the Ferrari La Ferrari, Mercedes, BMW, Lamborghini Veneno etc. However, let’s see what’s more it will offer. • Offers 8 different modes of the game with lots of opponents. • Includes the Police chasing mode to make it more exciting. • Provides lots of dangerous road and venue for the race. • Inclusive of numerous shortcuts and games changing codes. • Offers satisfying graphics and interactive interface. Racer Underground is another mind-blowing and exciting racing game. In accordance with the player’s reviews, it is another one of the best racing games for Android. It is free and with perceivable strategies. This game includes a good number of mood changing features. You can have a look over them. • A challenging game with obstacles like chasing the criminal, chased by the police, jump over the truck ramp etc. • You can unlock lots of cars with new skills. • Provides races with skilled components. • Besides racing, you can roam around using the map. • Provides daily tasks to complete for leveling up. • Amazing resolution and real engine sound effects. Again it is an Asphalt. Actually, almost all Asphalt racing game is worthy to be considered as the best one. However, it is the Asphalt 8: Airborne, another must-try game that the users think as one of the best racing games. The game tactics are easy to understand and you will soon get addicted to it. To be more specific of it, you can meet the important features. • Provides over 220 cars and 14 trucks for your performance. • Lots of dangerous roads are available for you to participate in a race. 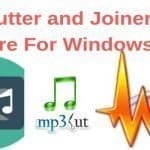 • Outstanding video and sound effects. • To get more points you can hit the truck ramps. • Offers about 400 events and 9 seasons to enjoy the game. • You can customize and update your cars as you want to. 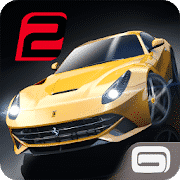 If you are looking for a very exciting and realistic racing game in your Android phone then I would like to suggest you a real-time racing game from Game-loft, GT Racing 2: The Real Car Experience. 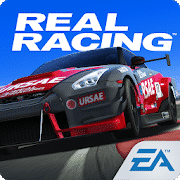 It is one among the best racing games for Android. Also, it is the best-featured game with marvelous handing system and interface. Also, a good number of stunning features are inclusive. Let’s check them out. • Provides one of the best experience in handheld racing games. • Includes more than 70 different cars from different brands. • Integrated with sophisticated graphics quality and numerous changeable race tracks. • Includes numerous events, classic races, duels, knockouts and a lot more. • Provides weekly challenges for improving your racing skills. 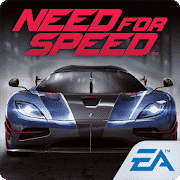 Brace yourself for one of the best racing game from your favorite game production Electronic Arts, Need for Speed No Limits. You will be mesmerized with its cinematic graphics and top-notch interface. Feel the best experience of racing games in the Android platform with it. Furthermore, lots of superb features are waiting for you too. Let’s have a glimpse at them. • Includes lots of racing events, knockouts, valley racing, classic racing, bounty, and free races. • Integrated with an easy interface and customized rides for your own individuality. • You are free to drive rough and reckless as you can smash and get through with extreme speed. • Provides lots of cars from different brands and they are fully customized and always up to date. • Play head to head or group competition in the vast open world like environment. Now, meet another one among the best racing games for Android, Cars: Lightning League. 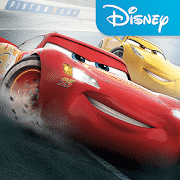 It is a very popular racing game, powered by Disney. 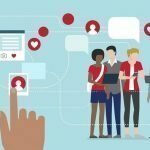 As it is a League maintaining the game, it will require a social media connection. It not bound to tell that the resolution and sound effect will amaze you. However, let’s meet the features of this game. • Racers like Lightning McQueen, Cruz Ramirez, Jackson Storm with cars are available. • Stunning racing with challenges and obstacles. • Mood-changing sound effects and visual quality. • Funny sound and car styles. • Optional in-app purchases to get a premium membership. • You can connect with friends through the league connection. 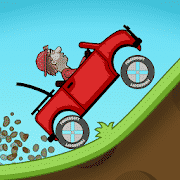 Hill climb Racing is not just one of the best racing games but also one among the most played and download Android games. Here, the racer is Newton Bill with whom you have to participate in the race on dangerous roads. The strategies are perceivable but you will get it hard to be the master of it. Also, it includes lots of unique features. 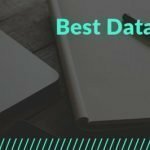 Have a look over the feature lists. • Provides over 27 exciting levels. • You are allowed to play with over 28 different features. • Real turbo sound is used to boost your excitements. • Offers amazing resolution and graphics. • Provides an amazing animated environment and easy strategies. • Also looks great in the cases of smartphones with low resolution. • You can upgrade your level and skill. • Provides lots of tournaments with a time-limit. • Exiting background history and visual effects. • Includes funny sound effects. • You have to smash your opponents to win the matches. • You can enjoy the multiplayer moods. • You can teleport character while running in the race. 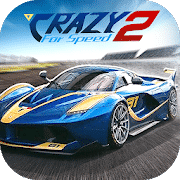 By not wasting your money and data, it is wise to check the list of best racing games for Android and try one or more from them. I am pretty sure that they won’t disappoint you. But I will suggest you just glance over the descriptions and the features of these games, I have already mentioned. It will then leave no risk for you to select the wrong one at anyway. Hopefully, you have already done so and also make your selection. If you want to try something more exciting, you can also try on some horror games. If you have any question or confusion left, don’t forget to knock me. Also, by giving your precious feedbacks always stay with us. Thank you in advance.